Hidden along the English/Welsh border is a small publishing company called Old Stile Press that is dedicated to creating beautiful artist's books. Founded in 1979, Old Stile is a two-person business that is remarkable for its longevity, the sheer quality of the books it publishes and its loyal customer-base of bibliophiles around the world. Nicolas and Frances McDowall started Old Stile in 1979. The name comes from a bookplate designed by artist Robin Tanner, famous for his etchings, featuring a stile in the shape of an H. For readers not located in the UK, a stile is a wooden structure that allows people to climb over a fence and is commonly found on footpaths in the British countryside. No hike through Hardy's Dorset or Wordsworth's Lake District is complete without clambering over an array of stiles. 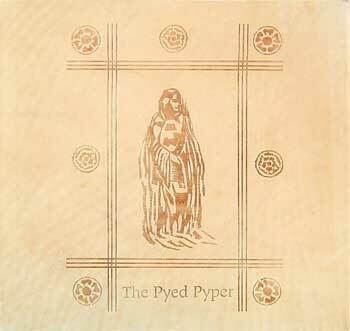 Old Stile's stunning artist's books are now available via our marketplace directly from Old Stile themselves. Frances was kind enough to describe how their business works. "We are sometimes described as a fine press but that seems a bit precious," she said. "We produce books to be beautiful but we mainly work with contemporary artists. Artist's books are what we produce. In the old days, a private press may well have had a wealthy owner but there are just the two of us doing this. "My husband, Nicolas, is the designer and the printer, I look after the business side from accounts to sales and packing the books. We work together to decide on the text we will use for a book and what artist we will work with. "Our books almost always feature text that has been previously published and is now out of copyright. The decision around the artist is the really important part. We have grown to know a lot of artists. We visit galleries and exhibitions where we meet them. "When we publish something, the largest print run might be around 300 copies and the smallest could be a single sheet of paper. A typical print run is 150 to 250 copies. "We cook, we eat, we design books. There are always books spread across the dining table." "Our best customers are libraries. The British Library and the National Libraries of Wales, Scotland, New Zealand, Switzerland, the Universities of Oxford, Cambridge, Manchester and Edinburgh, many of the finest libraries of the US including the Library of Congress. The University of Iowa buys everything we produce - they are often used as reference books in their graphic design program. Our books have been used in presentations by the Library of Congress. "We have a rambling house on a hillside near Tintern Abbey in a place called Llandogo. There are lots of pictures on the wall as we have many friends who are artists. The office is crowded with packing materials, the garage has stacks of paper. We are located just inside Wales and the River Wye is close by. I like to think William Wordsworth was walking through our fields when he wrote his poem about Tintern Abbey. The grandchildren come and play. Sometimes they look at books, sometimes they don't. We cook, we eat, we design books. There are always books spread across the dining table." "We were having coffee at home once when a man walked up the drive. He was the librarian from the Thomas Fisher Rare Book Library in Toronto. He was visiting the UK and decided to look us up. "There is a community of small presses. Barbarian Press in British Columbia are good friends. We exchange some very long emails with them. There's Russell Maret in New York, and Rampant Lions Press in Cambridge. We often see these small presses at book fairs such as Oak Noll Festival in Delaware or Oxford's Fine Press Fair but we don't travel so much now." 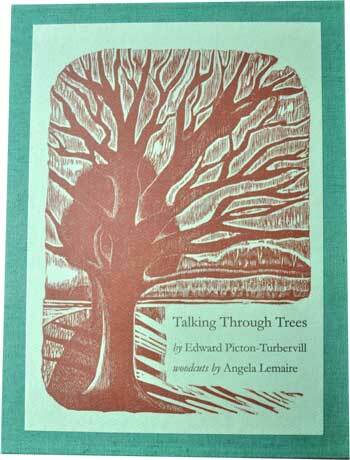 A book of the trees surrounding St John's College in Cambridge illustrated by Angela Lemaire. Picton-Turbervill is a former organ scholar at the college. These copies are signed by the author and artist. Illustrated by John Abell. 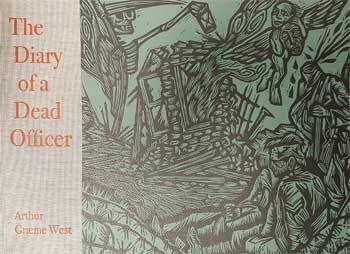 Published in 2014, this edition contains selected posthumous papers of Arthur Graeme West showing his journey from being a young Oxford scholar, eager to join the army in 1914, to a disillusioned soldier in the trenches and mud of France. Initially rejected for an officer's commission because of poor eyesight, he nevertheless joined the ranks and was sent to the Front in 1915. A sniper's bullet killed him on 3 April 1917. Powerful text and images. 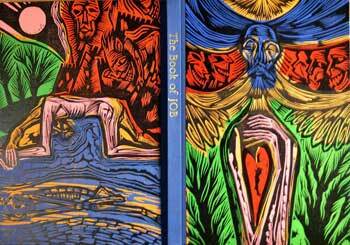 The Book of Job is a section of the Old Testament that considers human suffering in a poetic fashion. 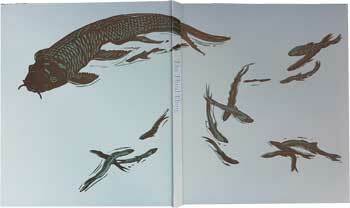 This book is illustrated with linocuts by John Abell. The vibrant colors leap off the cover. Tennyson thought the Book of Job was the greatest book of ancient or modern times. A selection of poems and woodcuts by Ralph Kiggell riffing on water and swimming which have featured strongly in Kiggell's life. The title comes from D.H. Lawrence's wonder at the creation of water and this book is listed by Frances as her personal favorite from all the books published by Old Stile since 1979. "Water is H2O, hydrogen two parts, oxygen one, but there is also a third thing, that makes it water and nobody knows what it is. The atom locks up two energies but it is a third thing present which makes it an atom," wrote Lawrence. 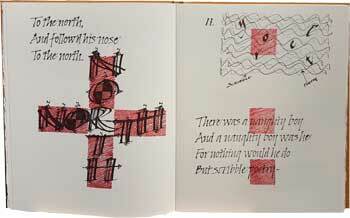 Andy Moore supplied the calligraphy to accompany this poem written by Keats for his younger sister. This epic poem - known in short as the Trans-Sib - was written by Blaise Cendrars in 1913. The poet had been in Russia in 1905 following the Sino-Russian war and endured several dramatic incidents on a journey in the company of his lover, Jeanne. Published in 1991, this is a book and portfolio of prints in a slipcase. This is an artist's exploration, in words and dramatic images, of the vision that generates his creative power. Hardy read the secret memoirs of his estranged wife Emma after her death in 1912. Racked by grief at his own mistreatment of her, Hardy then produced some his best poetry. 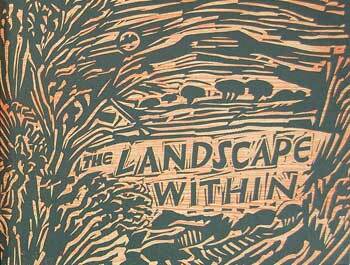 Mark Cazalet provided 22 wood and linocuts. Verstegan was the first writer (in 1634) to tell the story in English, of how Hamelin was freed from rats by a piper only for the town council to renege on their agreement. Angela Lemaire has provided the wood and linocuts for this powerful medieval story of music, rats, children and deal-making. 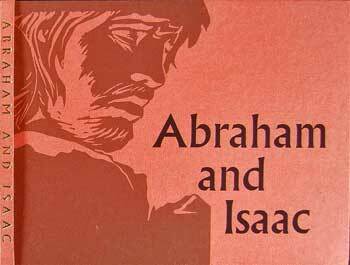 A medieval mystery play telling the anguish of Abraham, commanded by God to sacrifice his only son, Isaac. One of the bible's greatest stories. Illustrated by J Martin Pitts. Old Stile has published two bibliographies - The Old Stile Press in the 20th Century (2000) and The Old Stile Press... The Next 10 Years (2010). Nicolas and Frances married in 1963 and lived in London until discovering a house in Monmouthshire that seemed the ideal location for the small press. Their first book was The Ballad of Judas Iscariot by Robert Buchanan with art by J Martin Pitts. The poem was accompanied by 15 linocuts. Buchanan (1841-1901) was a Scottish poet, novelist and dramatist. Located within a couple of miles of Tintern Abbey, Old Stile has actually published Wordsworth's famous poem - Lines Composed a Few Miles Above Tintern Abbey, on Revisiting the Banks of the Wye During a Tour, July 13th 1798. 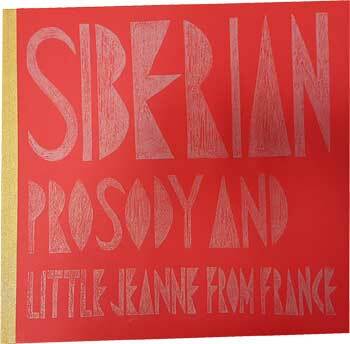 Hand-printed in 2001, the book was designed by Nicolas and used paper created by Frances. Poetry is a reoccurring theme in Old Stile Press books. In 1994, they published an edition of The Ballad of Reading Gaol by Oscar Wilde with images from Garrick Palmer, one of Britain's finest wood engravers. 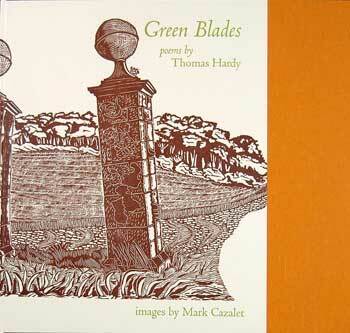 In 2003, they published the Laugharne Poems by Dylan Thomas featuring wood engravings and linocuts by John Petts. Old Stile also publishes miniature books. Examples include Be Still: Twelve Haiku from the Valley of Wye (56 x 72mm) and Psalms 23 & 150 (78 x 55mm). Old Stile's early archives were purchased by the Lilly Library at the University of Indiana where they are now housed.